Posted on September 24, 2014 by Mike Sonnenberg Posted in Forgotten Places, Historic Places, upper peninsula	. 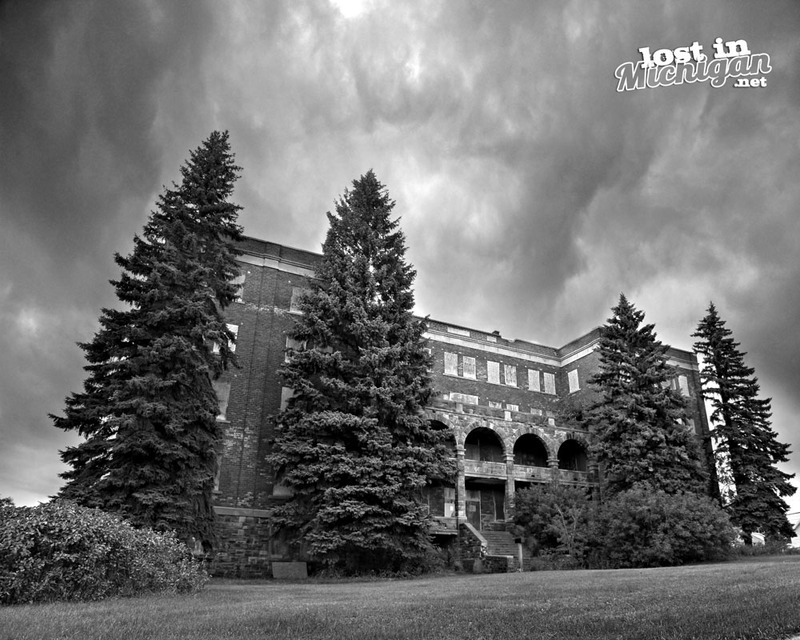 The Holy Family Orphanage was opened in 1915 by the catholic church and was designed to accommodate 200 children. The reason for the large orphanage was Native American Children were removed from their families and tribe in an effort by the government and society to separate them from their culture. Sadly I don’t remember hearing about this in history class. I found the Indian_Child_Welfare_Act on wikipedia for more info. It was furnished with classrooms, a dormitory, bathrooms on every floor and an annex that housed heating and plumbing facilities. There were laundry and kitchen facilities, a large dining hall and playrooms. the orphanage was open until the 1960s and some of the Cuban refuges children were some of it’s last to live there before being moved to foster homes. Northern Michigan University used it until the 1980s and it has been abandoned since then. There are urban legends of abuse by the nuns, and a rumor of one girl who was out playing in the snow who caught pneumonia and died a few days later from her Illness. Supposedly the nuns had a funeral for her in the basement. they say on a quite night you can still hear the children playing. For the record, I do not trespass, and I took this photo from a public sidewalk.